Cricket O'Malley can't wait to plant roots back home in Georgia, where she's returned to restore an abandoned flower shop to its former glory. The only blemish? Her neighbor's house is even more neglected than her old flower shop, and its occupant seems as surly as he is darkly handsome. This was such a sweet, laid back romance. I really enjoyed that the author kept it realistic without too much fluff, and brought some interesting aspects, such as a cop with PTSD, to the story. With a name like Cricket, the character is hard to forget. I liked how she was continuing on with things left from the first book. I really liked Sam. The author made him a richly complex character that I found easy to relate to and love. I had already fallen in love with Misty Bottoms and Magnolia Brides from the last book, so I loved seeing more about the town and previous characters. I would recommend this book and series to romance lovers and I look forward to the next book! For reviews & more info, check out our The Best Laid Wedding Plans post. The luxury of staying home when the weather turns nasty, of working in PJs and bare feet, and the fact that daydreaming is not only permissible but encouraged, are a few of the reasons middle school teacher Lynnette Austin gave up the classroom to write full-time. Lynnette grew up in Pennsylvania’s Alleghany Mountains, moved to Upstate New York, then to the Rockies in Wyoming. Presently she and her husband divide their time between Southwest Florida’s beaches and Georgia’s Blue Ridge Mountains. 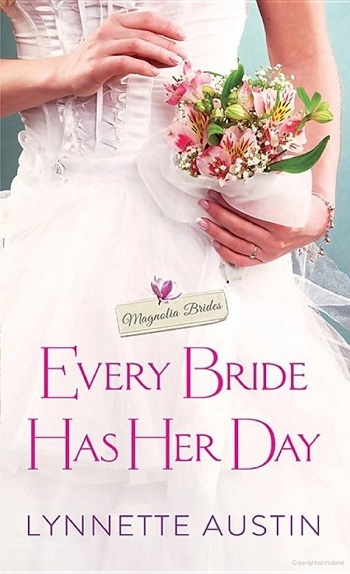 A finalist in RWA’s Golden Heart Contest, PASIC’s Book of Your Heart Contest, and Georgia Romance Writers’ Maggie Contest, she’s published five books as Lynnette Hallberg. She’s currently writing as Lynnette Austin. Having grown up in a small town, that’s where her heart takes her—to those quirky small towns where everybody knows everybody...and all their business, for better or worse. 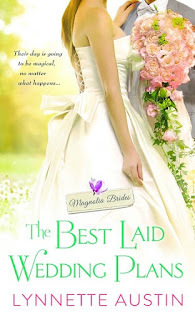 Reviewers on the Wicked Reads Review Team were provided a free copy of Every Bride Has Her Day (Magnolia Brides #2) by Lynnette Austin to read and review.